A lords armour was often adorned with rich detailing, while a foot soldiers armor was a bit more unadorned. That does not make it any less effective, though, and that point is proved beyond a doubt when it comes to this Gothic Sallet Helmet with Bevor. 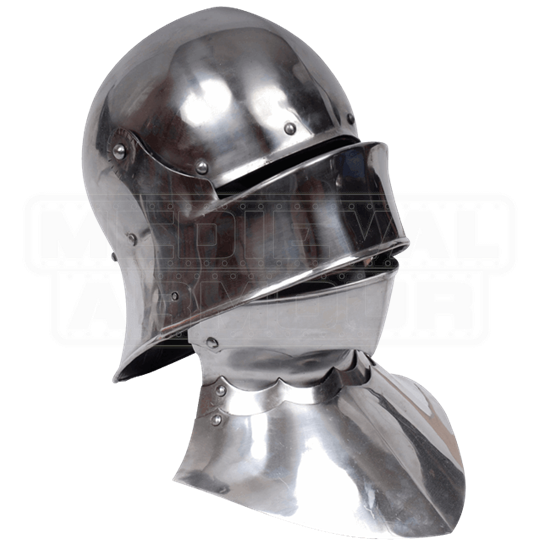 This classic combination is crafted entirely of 14 gauge steel, which is thick and hardy, making it suitable for most reenactment combat events. Its design is highly protective, as the sallet covers most of the head and features a rotating visor that allows the warrior to cover most of the face as well, leaving only a narrow slit open for seeing out. This helmet includes a bevor, which is an armour piece worn over the neck and chin and a historic companion to the sallet, enhancing the overall level of defense. The helmet is also fully lined with adjustable leather lining, and it features a chin strap for support purposes. 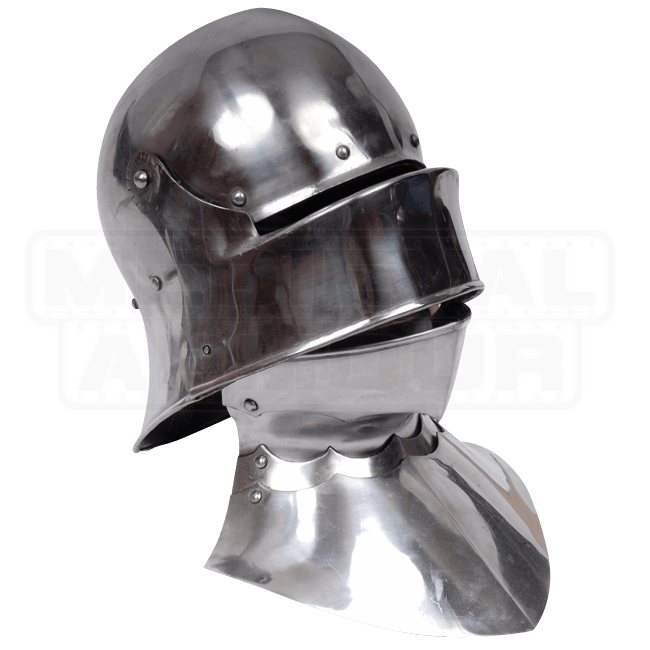 Paired with a suit of classic medieval armor, this Gothic Sallet Helmet with Bevor will go a long way towards making a warrior look and feel invincible. With such solid and sturdy head protection, that feeling is not entirely unwarranted, either.